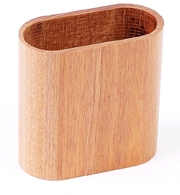 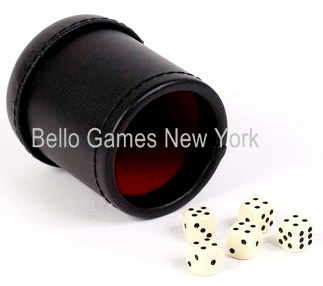 Genuine Leather Dice Cup • Size: 2 3/4" X 1/1/2" X 3". 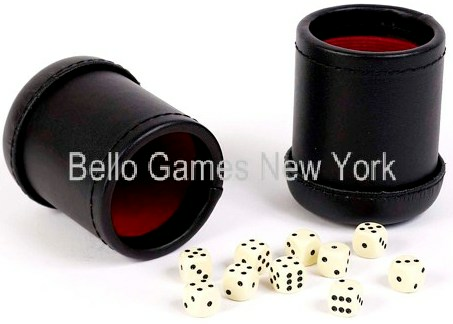 Genuine Leather Dice Cup • Size: 2 3/4" X 1 1/2" X 3". 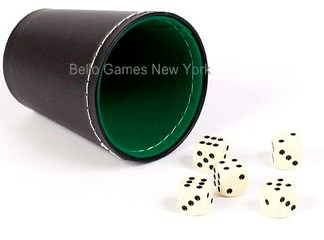 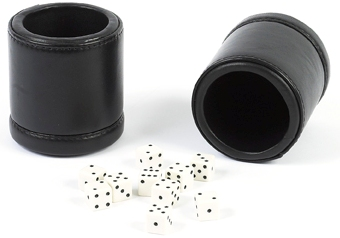 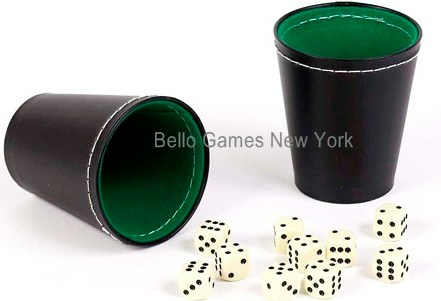 Leatherette Dice Cups • Two leatherette dice cups complete with 10 dice.